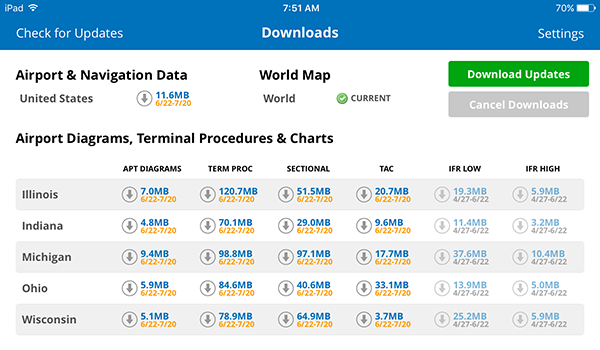 iFlightPlanner for iPad users may now download airport and navigation data as well as aeronautical charts, georeferenced airport diagrams and terminal procedures for the FAA Data Cycle that goes into effect on June 23, 2016. 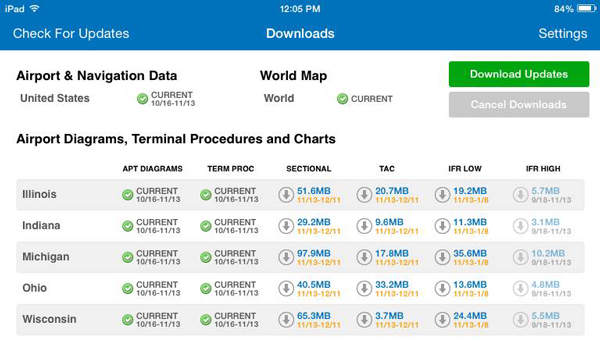 Simply tap the button in the upper-left corner of the Downloads tab to "Check For Updates". 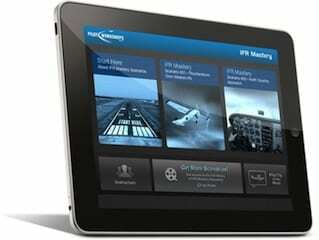 Pilots using iFlightPlanner.com or mobile.iFlightPlanner.com from their smartphones will see the iFlightPlanner Cloud automatically make the transition to the new data at 9:01Z on June 23. 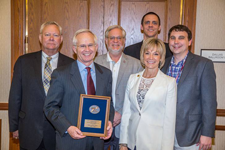 The Texas Department of Transportation has named Terrell Municipal Airport (KTRL) “General Aviation Airport of the Year.” The award reflects the airport’s importance to the air transportation system and the region it serves, according to airport officials. Selection criteria includes meeting the needs of its users in exemplary fashion and setting a standard of service that other airports might want to emulate. Five general aviation safety alerts were issued by the National Transportation Board the week before Christmas, citing the government agency’s focus on reducing GA accidents. “Knowing these accidents, which sometimes include entire families, can be prevented is why ‘general aviation safety’ is on our most wanted list of transportation safety improvements,” NTSB Chairman Deborah A.P. Hersman said. Shortly before leaving for winter recess, congressional leaders reached a budget agreement that could be good news for the FAA and other federal agencies. But many steps remain before funding for aviation programs is in the clear. The budget deal, reached between Sen. Patty Murray (D-Wash.) and Rep. Paul Ryan (R-Wis.), has sparked some confusion in the aviation world because it increases fees on air travel. The increase comes in the so-called 9-11 fee, essentially a per-ticket tax on commercial air travel that helps fund the Transportation Security Administration. 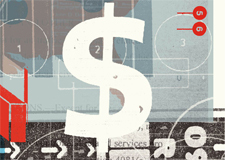 The deal does not contain any user fees for general aviation. And while the president’s budget proposal is likely to once again recommend a $100-per-flight user fee for general aviation, opposition to the idea remains strong in Congress. Do You Know a Rising GA Star? For General Aviation News' last print issue of the year, they're focusing on the next generation of GA’s leaders, from CFIs to flight planning entrepreneurs to those who are sharing their passion for aviation in any number of ways. 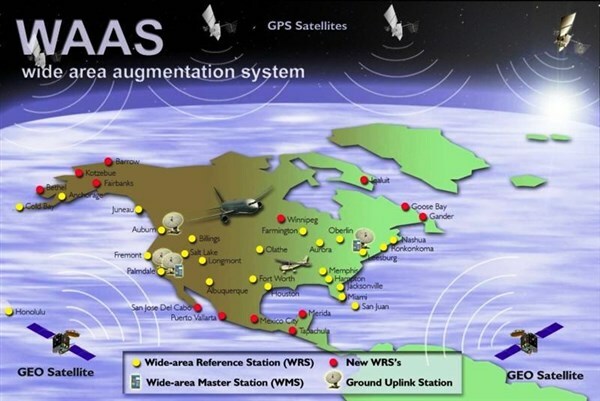 Help GA News locate these up-and-coming instructors, manufacturers, marketers, pilots, etc. so they can turn the spotlight on the Next Generation in the December 20 issue of General Aviation News! Every fall I help local farmers haul grain to the elevator. This year we had a very good harvest and the lines at the elevator were long. To pass the time, I brought along magazines from this summer to read and reread. I noted that every magazine had at least one article about the future of aviation gasoline. Since my byline in General Aviation News says I am an aviation fuels expert, I thought maybe I should address the subject and shed some light on it. Now that harvest is over, I have also cruised the Internet and found a lot more “information” about the subject. So what has changed since my last column on this subject over a year ago? A team of Mayo Clinic researchers have found that hypoxia can be detected before incapacitating physical symptoms, which can be a safety threat at high altitudes. “This study opens the door for objective assessments of hypoxia and additional safeguards for…pilots and others working in high altitudes,” says Jan Stepanek, M.D., the Aerospace Medicine Program Director and Co-Director of the Aerospace Medicine & Vestibular Research Laboratory. Hypoxia is a lower than normal level of oxygen in your blood. To function properly, your body needs a certain level of oxygen circulating in the blood to cells and tissues. When this level of oxygen falls below a certain amount, hypoxia can cause a variety of symptoms, including shortness of breath, impaired speech, slowed reaction time and passing out. The Experimental Aircraft Association’s year-old Eagle Flights program, which provides one-on-one flight experiences for adults interested in becoming a pilot, marked its 1,000th flight on Aug. 10 in Hickory, North Carolina. Bradley Bormuth of Hickory’s EAA Chapter 731, took Joshua Austin for a flight in a Cessna 172. Eagle Flights, launched at AirVenture in July 2012, is based on the successful Young Eagles program, which has flown more than 1.7 million kids between the ages of 8 and 17 since 1992. Through Eagle Flights, EAA hopes to expand the pilot population. The proposed airworthiness directive (AD) to limit the allowable time-in-service on cylinders produced by Engine Components International (ECi) that are in more than 6,000 Continental engines could cost GA upwards of $82.6 million. And on what is the proposed regulation based? Alleged problems in 30 instances out of more than 30,000 cylinders installed. This comes out to 1/100th of 1%. Add to this the lack of evidence that shows even one accident attributed to the alleged problem. Not only would enactment of the proposed rule have a devastating effect on owners of today’s aircraft, it could have an even greater impact on the entire general aviation world in the future. New at AirVenture 2013, SocialFlight announced an Ambassador program to promote general aviation. More than 25 people have signed on and are actively giving presentations to pilot’s club, organizations and individuals about how general aviation can benefit from increased awareness and participation in aviation events.